Here I am again on this inspirational week to show you 3 ways to combine a pair of good Converse, I think these shoes are the most pairable, comfy and... everything in the world. I had showed you some looks with Converse but unfortunately I have had to retire them cause they were not as white or whatever I liked for the first moment, so I think it's time to buy a new pair. 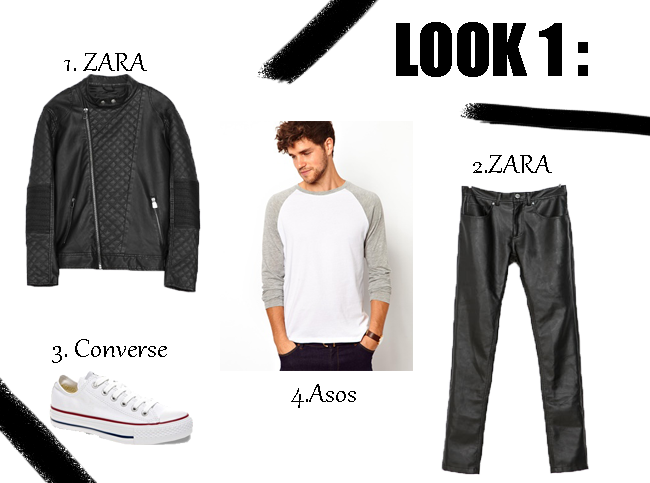 On these ways to combine them I've tried to be not very repetitive and you can see different styles, from combining them with a leather jacket to a plaid shirt. Hope you like it and have a wonderful day. Would you change something of the ideas I show you? You can tell me ideas about what to do a How To Combine post. Thanks for your comments guys, you're the best! Aquí estoy otra vez en esta semana inspiradora de MF para enseñaros 3 maneras de combinar un buen par de Converse, creo que este tipo de zapatos es el mas combinable, cómodo... todo del mundo. Ya os he enseñado varios looks con Converse pero desgraciadamente las he tenido que retirar ya que ya no eran tan blancas y bonitas como antes, así que creo que ya es hora de tener otro par. En estas ideas de combinarlas he intentado ser poco repetitivo y podéis ver diferentes estilos, desde combinarlas con una chaqueta de cuero hasta con una camisa con estampado tartán. Espero que os guste, que tengáis un buen día y feliz fin de semana. ¿Cambiarías algo de estas ideas? Estoy abierto a todo tipo de peticiones para que me digáis sobre que queréis que haga un post de How To Combine. Muchas gracias por vuestros comentarios, sois los mejores. la primera propuesta me encanta! te espero en mi blog! pasate! Heyy! Thank you for the comment and the follow (: It really means a lot, thanks!! I love love love Converse! They are the only sneakers I wear. Thanks for visiting my blog and following along. i love this blogggg :D! followed you on GFC, follow back maybe? Me gustan las tres propuestas me quedaría con la tercera! Te espero en el blog! Would you like to follow each other via GFC, Bloglovin and Facebook? So cool, I love your sets and converse is a must have, I really love your blog. How about following one another on Gfc g+ and bloglovin . I will sure follow back,thanks. Muchas gracas por tu comentario y por seguirme! Yo también te sigo! :) Me encantan los 3 looks que has elegido! I think Converse can go with pretty much everything! Cool blog you have here. I follow you on GFC. Do you wanna follow also on Bloglovin and Facebook? If you want you can check out my blog & maybe follow each other (gfc, bloglovin)? I wear my converse shoes almost everyday! They're just perfect. Just followed you back on GFC! Nice post! I'd love a pair of white converse but they would just get dirty so easily :( following you now! Thank you so so much for following my blog! I'm following yours now on GFC (316) and bloglovin. I really like all of your 3 looks! my fave here is number 2! And thanks for following - it´s a pleasure for me that I already followed you back on gfc! Thanks for your visit, i follow you now! Thanks for your sweet comment! and I love the first outfit you put together! Super blog : ) Do you want to follow each other? Love your style!! those combination are perfect for sneakers!! I follow you on GFC ! Great pairings! I think converse sneakers are a must in any closet! Me encanta este post! Soy súper fan de las converse! Gracias por el follow! Te sigo por GFC! Great blog, congrats. :) You got yourself a new follower, now following your facebook page, Bloglovin and GFC. Thanks for visiting my blog. Hallo again! I'm following you too now! All the ways are flawless and too cool! :) Follow you back of course on GFC! All of them are cute looks. Thank you for visiting my blog and for the sweet thoughts. Just followed you back on GFC, stay in touch ! Thanks a lot for following me, I'm following you back now. Great inspiration for the boys out there! Thanks for stopping by my blog! I started following you on GFC! Love these outfits! really cool! Aparte de moda pues publico muchos DIY como por ejemplo "como hacer un clutch de plástico transparente", cositas de cocina como por ejemplo "como hacer un bizcocho de chocolate en menos de 5 min" o "como hacer pizzas sin necesidad de horno", tutoriales de peinados y maquillaje :) , hablo sobre todo un pocoo :P ESPERO QUE TE GUSTE http://cindyklein.blogspot.com ¡Un besazo! Nice post! You blog is lovely! Cool ideas!! Great post! Would you like to follow each other via GFC, bloglovin, facebook and instagram? I'm following you back now.... keep in touch! 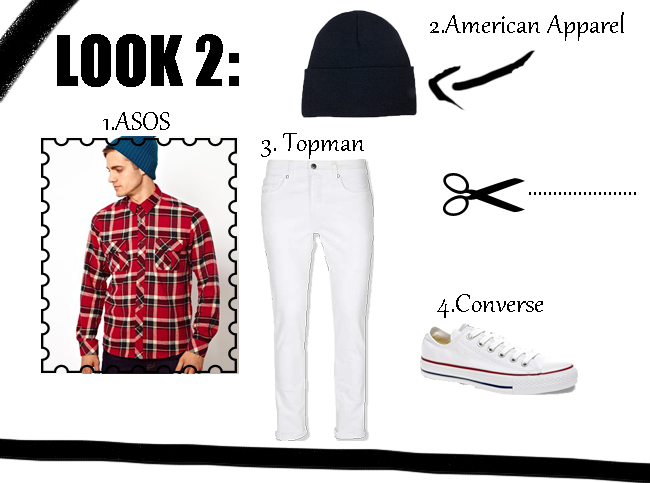 Love these outfits, converse are such a style staple! What a lovely post. Converse are so versatile. Thank you for your lovely comment on my blog. I am following you back. Fabulous combo darlin, love them all! Cute blog, what about following each other via GFC and Bloglovin? Just let me know! Hi, thanks for visiting my blog and follow. I follow you too now. I'm your follower 371 and I'd love it if you could visit my blog, perhaps let me know what you think? Hola!! muchas gracias por pasar por mi blog, te sigo también! besos! Hello, I found you blog very helpful and entertaining! :) Would you like to follow eachother? My favourite is look n. 3!! Very cool!! Me encanto el post, el primer y tercer look son mis favoritos!!!... yo no soy tan fan de los converse pero ultimamente he pensado en hacerme de unos!!! gracias por pasar por mi blog,,, te sigo :D ojala regreses! Lovely & great post, thanks for follow my blog, follow you back. Keep in touch. very very nice... yeah let's follow!!! Me gusta mucho el tercer look, es como más despreocuoado o también diría como de "dejadez glamurosa" Me encanta la moda masculina, muy a menudo suelo comprarme chaquetas, camisas y sudaderas en la sección para los hombres, me parece que no hay tanta variedad como para las mujeres, pero las prendas son de mejor calidad! Respecto a los converse, decirte que para mi tienen un encanto especial, los converse envejecidas y un poco rotas!! Me encanta tu blog y te sigo desde ya, espero que también me visites y que te guste mi espacio virtual! Me gusta tu blog! Es muy personal y tiene mucho estilo! converse are just so versatile! I love Converse and these are great styling tips! Thanks alot for visiting my blog.. I am following you..Hope you will follow me too.. Following you now back on GFC dear. converse are magical it can be wear with all clothes! thanks for the comment! great blog!! just follow you on gfc! Hi sergio! thank you for supported my blog! i follow your too, can I invite you on my fb page? Following you back on GFC! Thank you for stopping by! I'm following u now via gfc and bloglovin ! Hey! Thanks for visiting my blog. I've done following you too via GFC. You have such an awesome blog! I really like all of the three suggestions! my favorite is definitely the third, perfect for fall! I love look n. 1!! I am follower n. 438!! Great post! 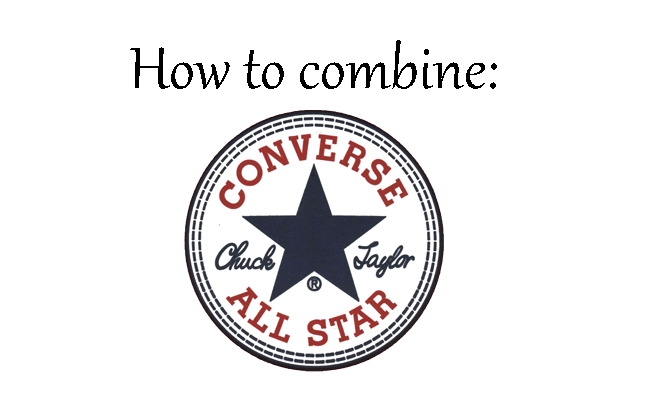 Converse is the best!! I'm loving your blog, It would be great if we could follow each other! I am now following you on GFC and would love for you to follow me back! !